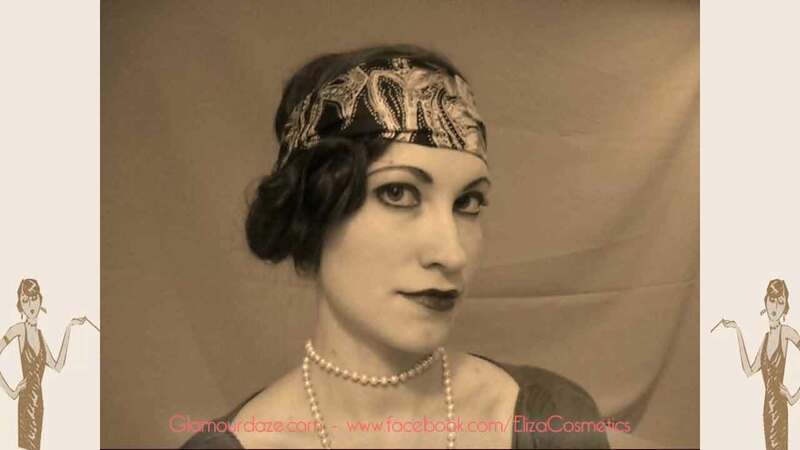 Visit Tia Semer’s Eliza cosmetics Facebook page and get the 1920s Theda Bara lip rouge you see featured here! 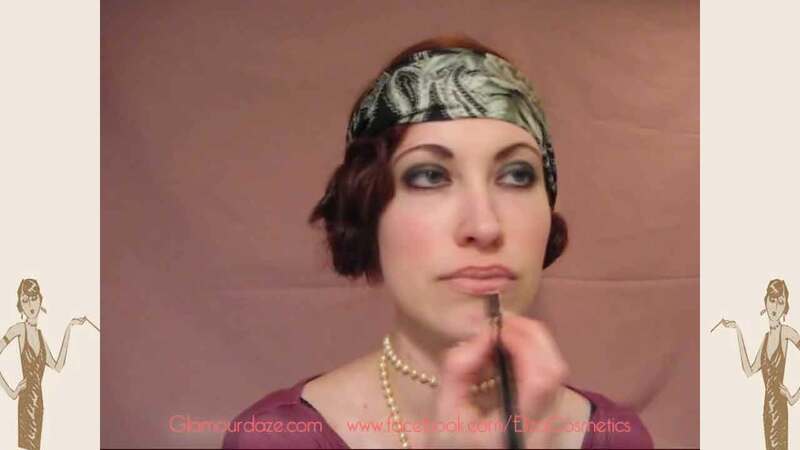 WATCH THE FULL TUTORIAL AND FOLLOW STEPS BELOW! 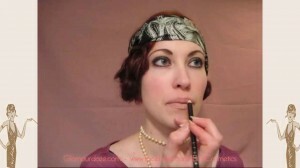 Step3 – Line the upper lips staying well within the matural borders of your lip, for a shorter look. 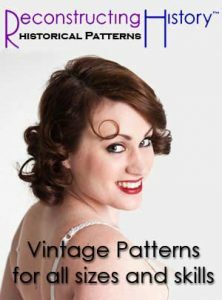 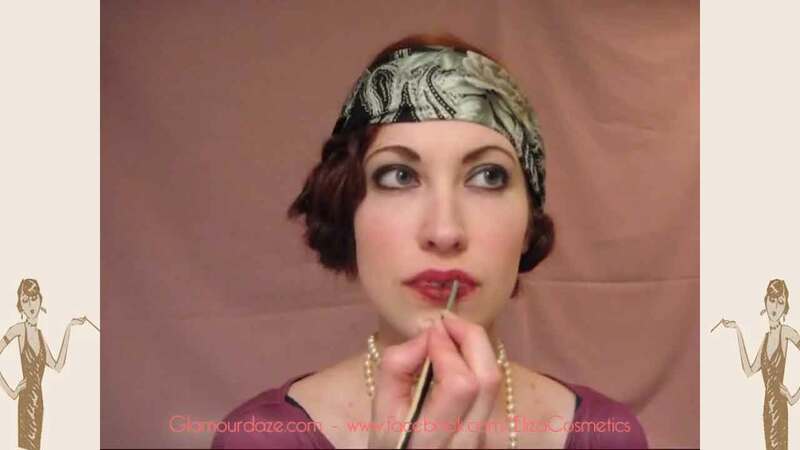 End your line before the natural edge of the lip for a narrower appearance. 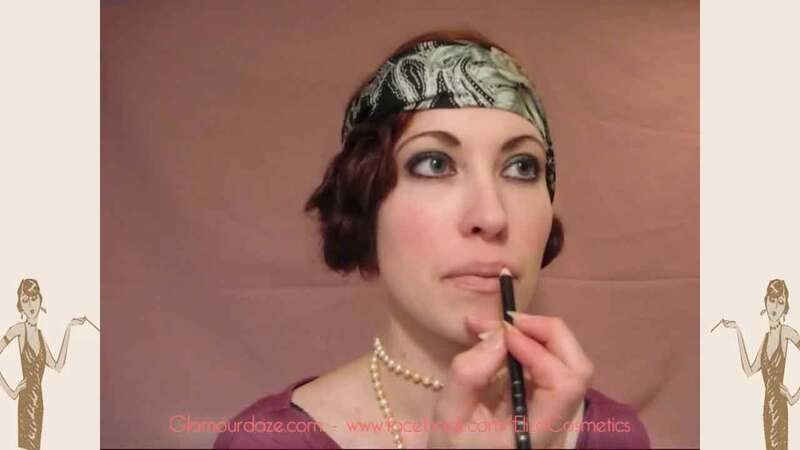 Step4 – Slightly enhance the centre edge of the lower lip, corners of the lower lip flaring inward – short of the natural edge of the lip! 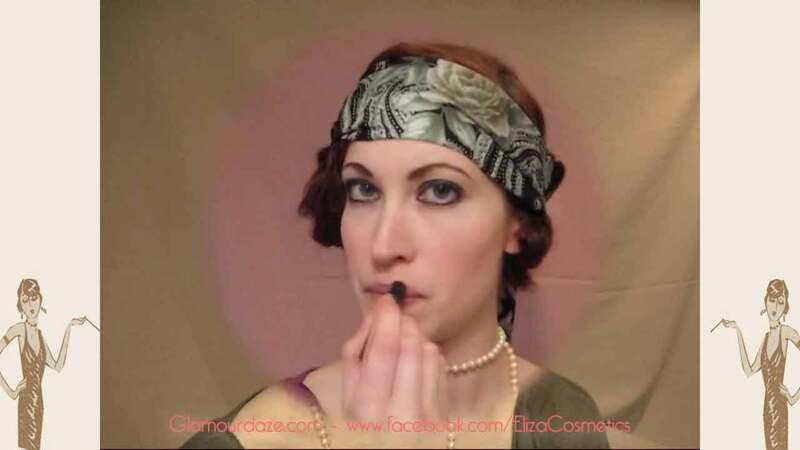 Step5 – Fill in with your lip liner – your lip color will last longer this way. 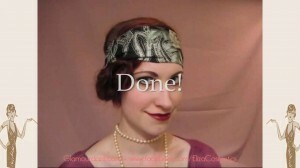 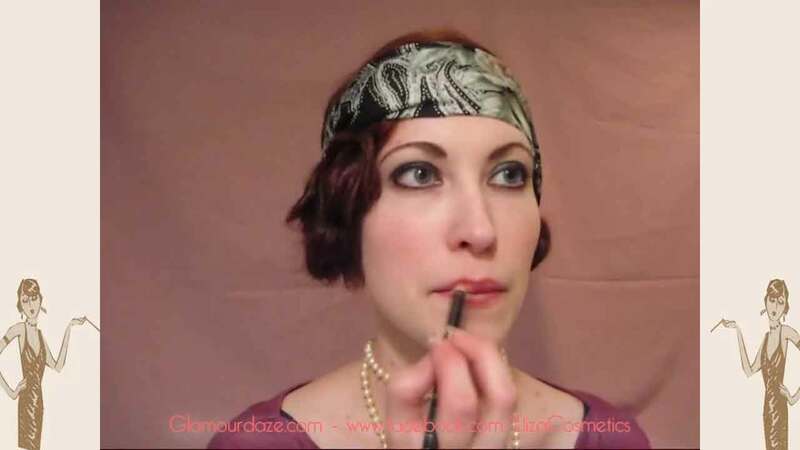 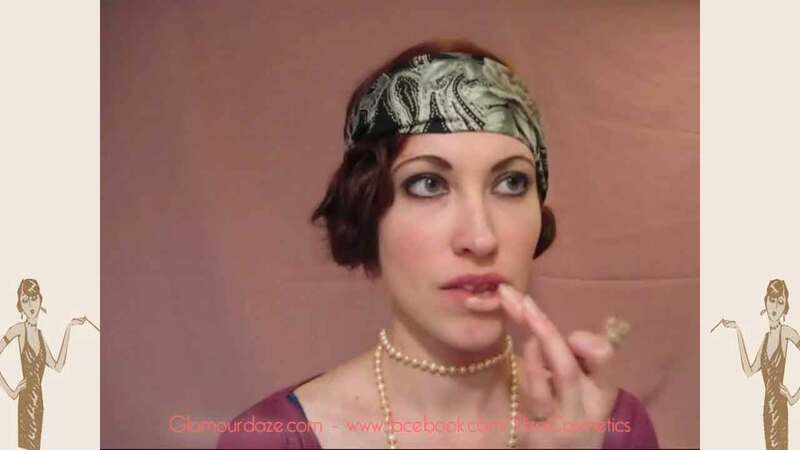 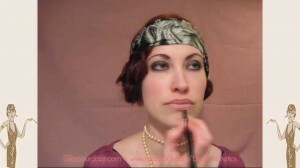 Step6 – Now go over your lipliner with an appropriately 1920s shade of lipstick. 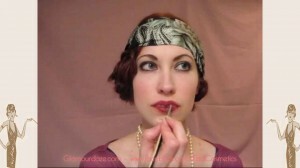 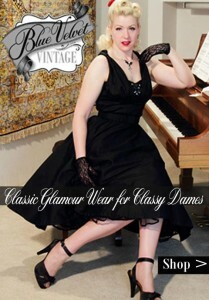 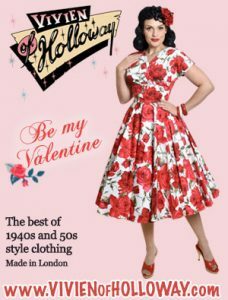 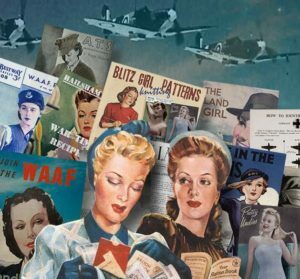 Popular colors were deep reds, plums – even orange and rose tones. 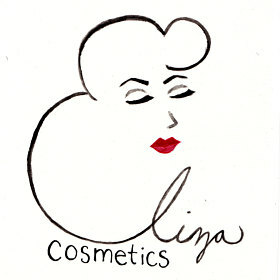 I used the “Theda” shade from my own make-up line, Eliza Cosmetics. Step7 – Finished lips !